Is democracy in decline around the world? Is American democracy itself in trouble? Examining the history of democracy in the United States against a global backdrop of how democracies have died throughout history, Ziblatt comes to some surprising conclusions about the sources of vulnerability and strength in American democracy today. 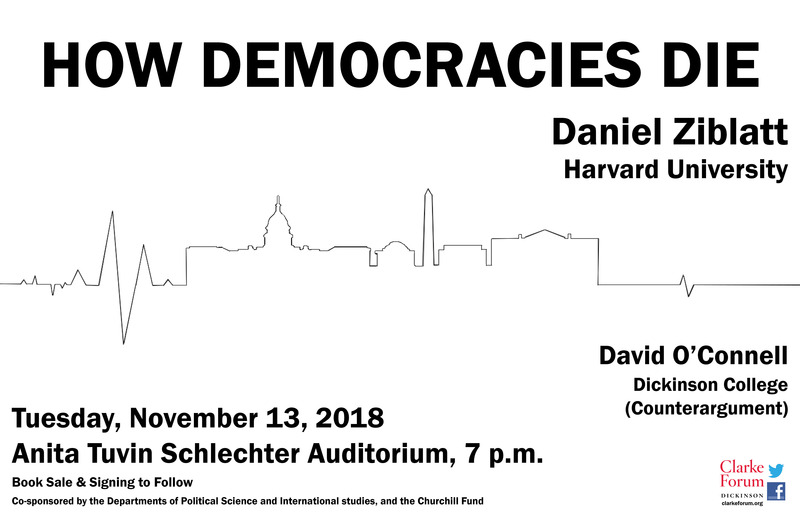 After Ziblatt’s presentation, Prof. David O’Connell will offer a brief scholarly counterargument that challenges certain aspects of Ziblatt’s book as they pertain to the American political system. A book sale and signing will follow the program. This event is sponsored by the Clarke Forum for Contemporary Issues and co-sponsored by the departments of political science and international studies, and the Churchill Fund. It is part of the Clarke Forum’s Leadership in an Age of Uncertainty Series. 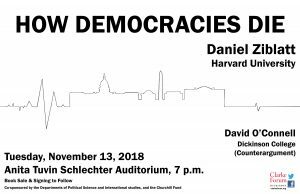 Daniel Ziblatt is Eaton Professor of the Science of Government at Harvard University and a faculty associate at Harvard’s Minda De Gunzburg Center for European Studies. He researches and teaches in European politics, democratization, and historical political economy. He is the author of three books, including two recent books, How Democracies Die (2018) (co-authored with Steven Levitsky), which was a 2018 New York Times Best seller as well as Conservative Parties and the Birth of Democracy (Cambridge: Cambridge University Press, 2017), the winner of several prizes including the American Political Science Association’s 2018 Woodrow Wilson award and the American Sociological Association’s 2018 Barrington Moore Prize. His first book was Structuring the State: The Formation of Italy and Germany and the Puzzle of Federalism (Princeton University Press, 2006). Recent scholarly articles have appeared in Journal of Economic History, American Political Science Review, Comparative Political Studies, and World Politics. 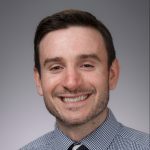 Ziblatt is the director of a research program at Harvard University called Politics Through Time, which is a hub for social scientific research on the political history of democracy. He has held fellowships in the United States and Europe, most recently as the Fernand Braudel Senior Fellow at the European University Institute (Florence Italy), as well as fellowships at Harvard’s Radcliffe Institute for Advanced Study and Stanford’s Center for Advanced Study. He has also been a DAAD Fellow in Berlin, an Alexander von Humboldt visiting fellow at the Max Planck Institute in Cologne and the University of Konstanz, Germany, and visiting professor at Sciences Po Paris (2014) and Ecole Normale Superieure, Paris (2009). He serves on governing boards of several academic institutions and the editorial board of academic journals, including Comparative Political Studies, World Politics, and German Politics and Society. David O’Connell is an assistant professor of political science at Dickinson College. His major research interests include the presidency and the role of religion in American politics. O’Connell is the author of God Wills It: Presidents and the Political Use of Religion (Routledge, 2014), and his research and writing has appeared in, or is forthcoming in, Presidential Studies Quarterly, Politics and Religion, Political Science Quarterly, and White House Studies. O’Connell is also currently completing work on a series of articles examining how members of Congress use their Instagram accounts. A frequent media commentator on American politics, O’Connell has been interviewed by C-SPAN, Fox News, ABC 27, CBS 21, FOX 43, WGAL 8 and WITF, and he has been quoted by national print outlets ranging from CNN to The Christian Science Monitor to the Associated Press. O’Connell received his M.A., M.Phil., and Ph.D. in political science from Columbia University, and holds a B.A. in political science and economics from the University of Pennsylvania, where he graduated with Phi Beta Kappa honors. 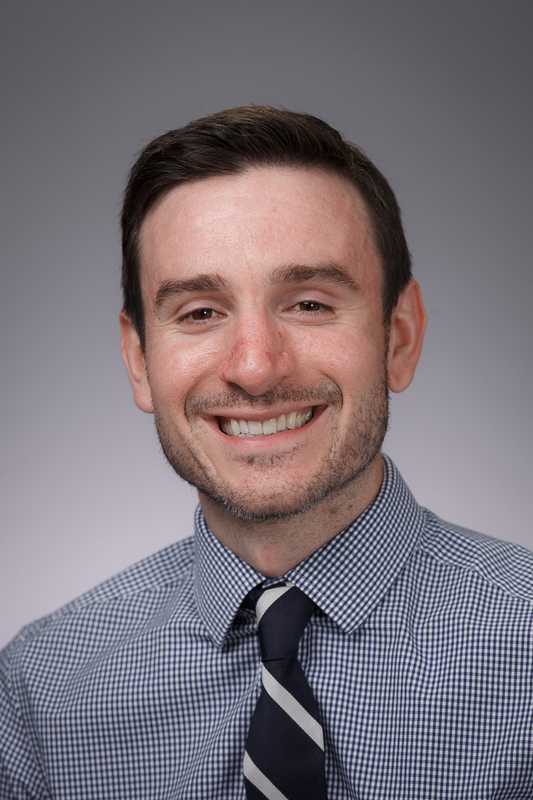 O’Connell is the 2018 recipient of Dickinson’s Constance & Rose Ganoe Memorial Award for Inspirational Teaching.